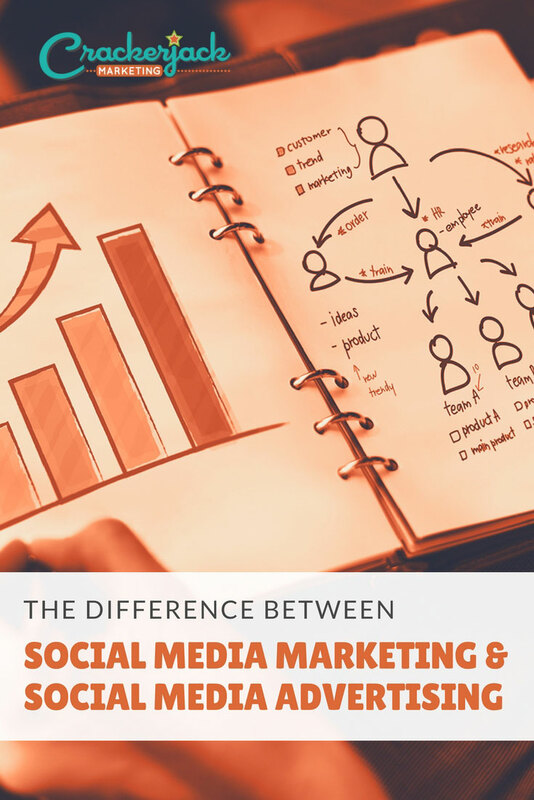 Organic Social Media or Social Media Advertising: What's the Difference? There are billions of people using social platforms such as Facebook, Instagram, Twitter, and LinkedIn, and these people all represent current and prospective customers that you can reach with your brand. There are a number of ways brands can interact with each of these platforms; essentially it comes down to using either organic social media or social media advertising. There are many differences between opening up accounts on social media platforms and posting there, also called organic social media. and social media advertising, which is paying to reach audiences on those platforms. While both have their own assortment of pros and cons, each one has the potential to bring significant value to your brand’s social marketing strategies. 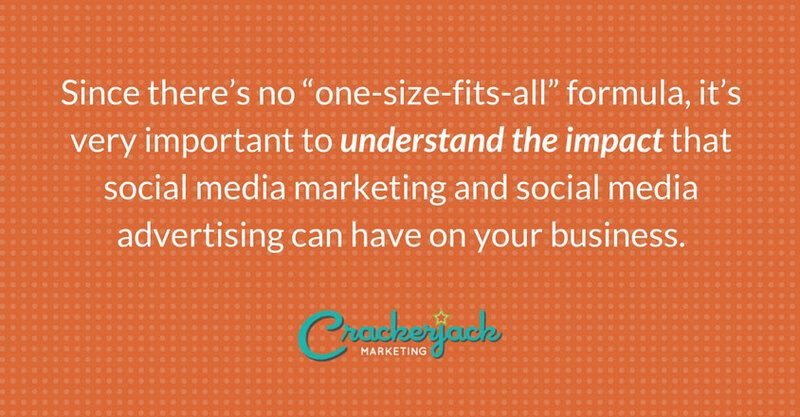 Since there’s no “one-size-fits-all” formula, it’s very important to understand the impact that organic social media and paid social media advertising can have on your business. One company may receive incredible engagement from their organic social media posts, while others may notice more traction from paid ads. So, what’s best for your brand? 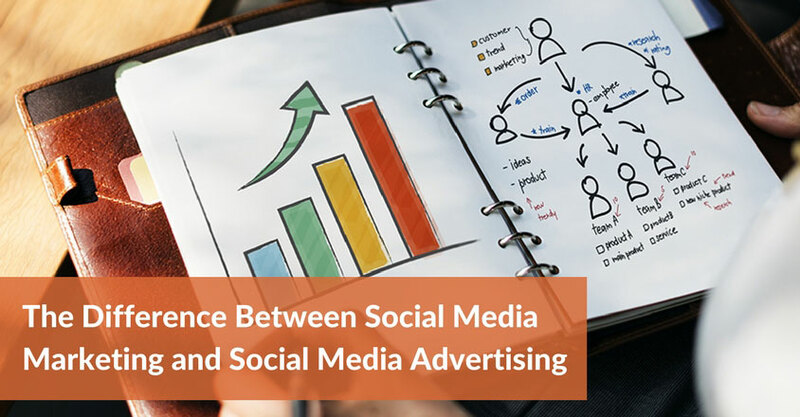 Before quickly choosing one over the other, let’s break down both social media marketing and social media advertising so that you can be the judge! What is Organic Social Media? Organic social media, marketing your brand without paying for a lot of advertising on the major social platforms – including Facebook, Instagram, Twitter, Pinterest, and others – is all about building both individual relationships and a community through sharing engaging content. It is a subtle, long-term play that requires plenty of planning, nurturing, and consistency. Though it can take a significant amount of time and effort to build trust and loyalty between your brand and audience, what you create organically can be priceless in comparison to paid advertising. There is no cost to create social media accounts on platforms like Facebook and Twitter, so this is a suitable option for those with a tight marketing budget. But, do keep in mind that you will need to pay either a social media marketing agency or dedicated team members to create the right content and engage with your target audience (unless you are manning it all yourself). Build relationships and brand loyalty. Social media marketing can be used to create new connections as well as nurture your existing ones. By taking advantage of marketing on social platforms, you have the ability to communicate with current and prospective customers on a seemingly one-on-one basis. Your personal engagement and responsiveness will give people a reason to like and trust you, which will further fuel them to want to do business with you. Gain valuable insight and feedback. Though it takes time and effort, listening and actively participating in your target audience’s online conversations can help you gain valuable insight into their pain points, likes, and dislikes. You can receive helpful feedback on how to improve your products or services by asking questions and sharing polls to gather information. Social media marketing requires a consistent flow of developing content, monitoring and responding to comments in real-time, and regular maintenance. Having to repeatedly come up with fresh and compelling content that’s relevant and valuable to your audience can become a burden. If you’re not hiring a social media manager or designated team members, then you will need to be willing to invest plenty of time into growing your presence through organic social media. Only suitable for targeting followers. Your social media marketing efforts will only be reaching your current followers, along with the extra layer of people they may potentially share your content with. If you want to target people that are in a particular age bracket, living in a specific location, or part of a certain group, then paid ads will be a better option for you. The major social media platforms all have complex algorithms that determine whether and when your content will be seen by people that follow your brand. It can be difficult to understand the rules behind these algorithms, and algorithms affects your visibility with your followers. If you can stay on top of what each platform is prioritizing at any given moment, you’ll be able to make more of your content available to your target audience, and drive as much organic traffic as possible. Whereas social media marketing is a gradual approach that creates organic growth over time, social media advertising can produce fast results. Rather than focusing on building a community from the ground up, it’s all about blasting your message to a hand-picked audience. Social media advertising has scalability and can be great for creating brand awareness or jump-starting any social media campaign. When done right, social media advertising can be an almost guaranteed way to boost engagement and drive instant traffic to your business. Unlike social media marketing, paid ads on social platforms can start delivering results the moment they go live. You won’t have to wait for people to stumble upon your products or services on their own because you’ll be strategically placing yourself front and center. A great advantage to using paid ads on social media is that you can target specific groups of people based on demographics such as location, age, gender, income, interests, and more. This means that you can control who will see your ads and focus on a particular niche by only sharing your message with people that are most likely to be interested. Social media advertising increases your brand’s visibility, which means more engagement, more leads, and the potential for more sales and profits. Since you’re able to reach a wider, more targeted audience with paid advertisements, you can increase your odds of generating a higher conversion rate. Cost and risk of investment. Advertising on social media is not free, despite options of low-cost ad rates, and you can easily throw money away without an appropriate strategy. It can get very expensive and time consuming for small businesses and people that are managing campaigns on their own without the proper guidance. It’s crucial that you can designate time to thoroughly monitor and analyze the data from your ads to ensure that your campaigns result in high ROI. Social media advertising involves upkeep since you will often have to tweak and make adjustments as you go. Consistent exposure, traffic, and growth will only last as long as you keep investing in your ads. If you want to keep the ball rolling, it may be beneficial to consider a strategy that also incorporates organic social media marketing. Should you use Organic Social Media or Social Media Advertising? As you can see, both organic social media and social media advertising require a well-thought-out strategy and plan. Each has their own pros and cons, and it’s important to consider all of your options as well as your budget before diving headfirst into either social strategy. The key is finding what social tactics work best for you. Where should you be investing your time and money, and what are your goals for using social media? Are you willing to invest your time into playing the long game and building a loyal community? Or, would you rather cough up some cash right now to see instant results? As Vice President of Crackerjack Marketing, Christina works closely with clients to develop and execute world-class social media strategies and creative influencer marketing programs. Her mantra is “measure, measure, measure!” because size really does matter - at least when it comes to growing her clients’ social media presences.